First graders at Longwood Elementary School in Hayward learn about light, shadows and prisms during a science lesson. President Donald Trump’s proposed cuts to science education — which Congress is debating this week along with other aspects of the federal budget — would devastate K-12 science classrooms as schools are rolling out ambitious new curriculum standards and trying to prepare students for science and technology jobs of the future, leading educators said. Congress was nearing a budget deal Wednesday morning, but details were not immediately available. Trump’s budget proposal, unveiled in May, slashes more than $3 billion in funding for science education. It eliminates funding entirely for the education divisions of NASA and the National Oceanic and Atmospheric Administration; teacher training grants, which schools use to help teachers learn the new science standards; grants that support academic enrichment, such as science lab equipment and coding classes; and NOAA’s Sea Grant program, which funds science education in colleges and K-12 schools. Trump’s budget also calls for significant cuts to career and technical education, the National Science Foundation education division, and teacher and scientist grants at the Department of Energy. Congress so far has rejected some of Trump’s proposals, such as eliminating the NASA education office, but other proposals remain in flux. The final figures won’t be known until Congress passes a budget. The next deadline for averting a government shutdown is Feb. 8, when the short-term spending bill passed in January expires. NASA and NOAA provide free K-12 curriculum, grants for field trips, research and teacher training and other programs used by teachers, students and parents nationwide. NASA’s education site was especially popular during the August 2017 solar eclipse, when millions of people viewed the agency’s live streams and easy-to-understand astronomy lessons. The NASA and NOAA education offices remain open, for now. NASA’s website says the agency remains committed to education but offers no details of how it will be provided without a budget. A NOAA spokeswoman had no comment. Jill Grace, president of the California Science Teachers Association, called the proposed cuts “devastating.” Several years ago she participated in a NASA summer training program at the Jet Propulsion Laboratory, which she said transformed her career. Some California science teachers, especially those in rural or less affluent areas, said the cuts would have a profound impact on the quality of education they can provide their students. 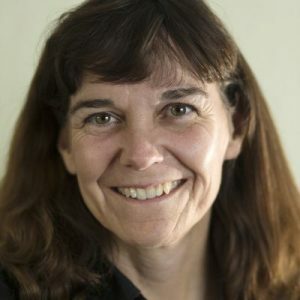 Carolyn Ferrero, a 5th-grade teacher and K-8 science coach in Nevada County, in the Sierra foothills, said she often relies on NASA and NOAA curriculum. Field trips to science museums or observatories are too expensive and too logistically difficult, but the free NASA and NOAA curriculum helps bring the wonders of space, sky and oceans directly to her rural classrooms, she said. She used NASA curriculum to teach about the eclipse, and regularly uses NOAA lessons to teach environmental topics. In one lesson her students used NOAA data to see how temperatures have changed in the foothills over time. In another, they compared thermal maps of Northern and Southern California to study differences in ecosystems. She also has her students double-check their data against NOAA and NASA, as credible sources of information. Ferrero said she’s discouraged that NASA’s science education office was slated for elimination at the same time the president allotted large increases for space exploration. 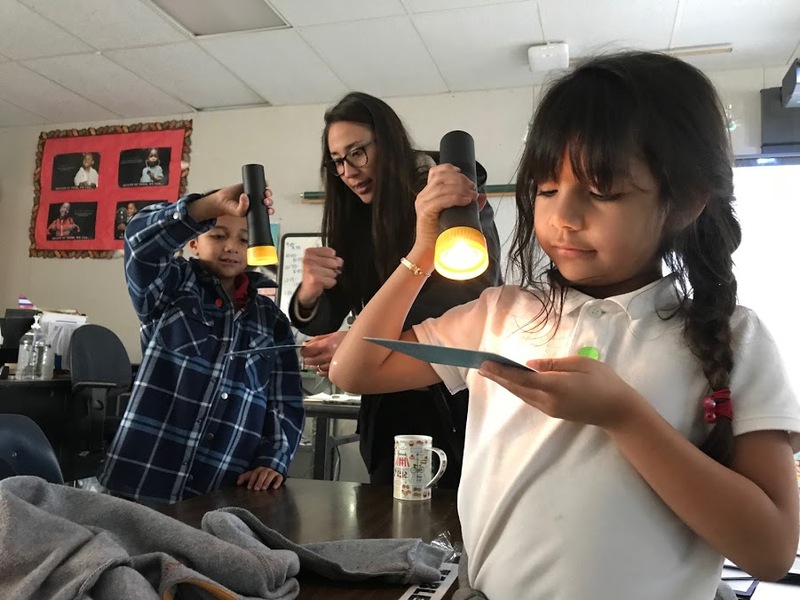 In Santa Barbara Unified, science education coach Nellie Hill said teachers in her district rely on NOAA grants to learn the latest ocean and climate research to pass on to their students. They learn how to collect and use ocean samples, study eel grass beds, monitor shark populations and other topics useful for a coastal community, she said. This is especially important as her district, and districts throughout California and 18 other states, implement the Next Generation Science Standards, the first major overhaul of science curriculum since the 1990s, she said. The new standards include the latest scientific research and focus on hands-on projects and broad scientific concepts. They also include environmental standards at all grade levels — something new for many teachers and why the training grants are so important, she said. Reducing teacher training grants and free curriculum is especially frustrating, she said, because the United States has struggled for so many years to improve science education and catch up with other countries. Brad Hoge, director of teacher support for the National Center for Science Education in Oakland, called the proposed budget cuts “a slap in the face to science education in this country.” NASA and NOAA provide some of the most comprehensive hands-on, data-driven K-12 science lessons available, he said. That information is not just helpful to teachers, but to parents and the community at large, he said. Evans, head of the National Science Teachers Association, agreed that ideology might underlie the proposed cuts. The Trump administration has shown a consistent pattern of anti-science policies, he said. The president has not appointed a science advisor, has filled science jobs with non-scientists, called climate change a hoax and hired an Environmental Protection Agency director who has a long history of suing the agency over environmental regulations. I don’t think there is anything wrong to it. Whatever he is doing there might be a valid reason behind that. I think The Trump government wants NASA to focus on space exploration, but first, it wants to kill the Asteroid Redirect Mission. It all makes sense business-wise. Tax cuts benefit business but must be sort of paid for by reduced government spending, except for military, which is also great for business. We don’t need native born science and tech people. We can import them on student and H1B visas, get them to work at lower salaries than natives expect, and send in ICE to deport them when we don’t need them any more. The wealthy can also be sure their kids get good science and tech education by sending them to private schools. Only one problem: In the long term, this will greatly weaken the United States vis a vis the rest of the world and destabilize it internally with a large poorly educated, low income, and resentful native-born population. I miss having someone who clearly loves science in the White House. There are dozens of just wonderful pictures of Obama enjoying science with kids during his presidency, in a way that is full of joy, not obligation. The NASA education office not only benefits students, but the public at large, who deserves a chance to access the science they paid for, from pretty images to clear explanations of what is going on. The opportunities we have now for students to interact with real space data using the internet are unparalleled and we should not throw that away.